Healthy lunch from oyster mushroom. Serve with pasta or dumplings. Peel the spring onion and cut it into rounds. 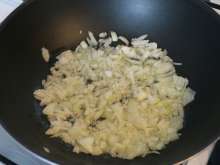 We can use also classic yellow onion. 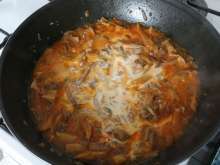 Heat oil in the pan, add onion and cook for a while. 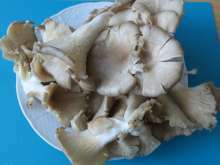 Wash the oyster mushroom, cleanse it and cut into small pieces. 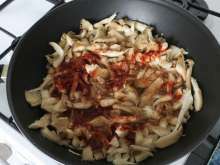 Put the cut oyster mushroom in the pan and braise it with onion. Season with salt, crushed cumin and ground red pepper. Pour over with water and braise covered for 20 minutes. 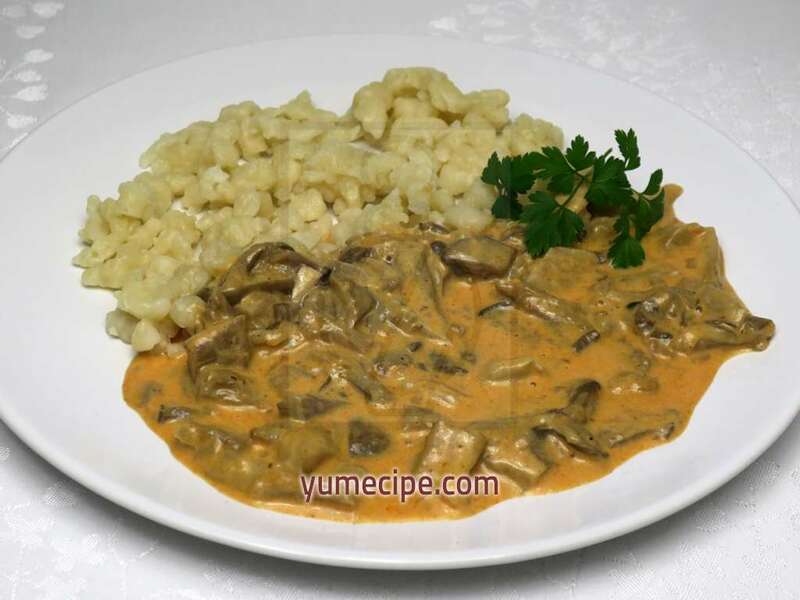 Stir the fine flour and sweet cream for cooking with milk, pour it into oyster mushroom and bring to boil.